The GTA is pushing for a detailed project report on setting up a central university in the Darjeeling hills which the hill council wants featured in the next Union budget. The Noida-based EdCIL (India) Limited has been entrusted with the task of preparing the report as the GTA believes the university should find a mention in the coming Union budget. The GTA today held a meeting with representatives of EdCIL (India) Limited, which offers consultancy and technical service in different areas of education, to discuss the project report. This is the first time that the GTA has made known its expectation from a Union budget, which is scheduled to be presented by Union finance minister Arun Jaitley on February 28. Today’s meeting was also attended by Tanka Bahadur Subba, the vice-chancellor of Sikkim University, a central university, and its faculty members. The EdCIL team was headed by V.V. Murari, chief general manager (projects), and included R.C. Malhotra, former director, IIT Kanpur, among others. The location, which the team is zeroing in on, is about 30km from Darjeeling town. Malhotra said the detailed project report should be ready by the end of this month. 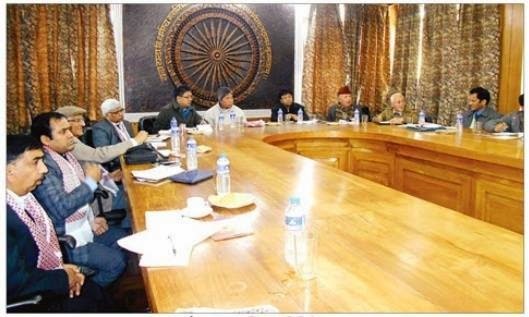 Giri today stressed that a central university in the hills had been promised in the tripartite agreement signed by the Centre, state and the Gorkha Janmukti Morcha in 2011. “We have also met Smriti Irani (Union human resource development minister) and Arun Jaitley in this regard and their response has been positive,” said Giri. Even though the estimated cost of the central university is not immediately known, the project is expected to cross Rs 750 crore. GTA is pushing for a detailed project report on setting up a central university in the Darjeeling hills which the hill council wants featured in the next Union budget.